The Pineal Gland, the seat of consciousness, is the connection between body soul and spirit. It is located in the center of the brain directly behind the eyes, in a tiny cave above the Pituitary Gland. The Pineal Gland is very tiny, smaller than a pea, reddish grey in color and is shaped like a pinecone. The Pineal Gland is the mind’s eye, looks like an eye and has all the components needed for a functioning eye. Pinea is Latin for pinecone. Pinecone symbolism appears all over the ancient world, from the ancient most advanced civilizations of the Anunakis and the Sumerians, to the Greek and Roman traditions, to the Vatican and the staff of the Pope. In ancient Egypt the pinecone was a symbol of the staff of Osiris. 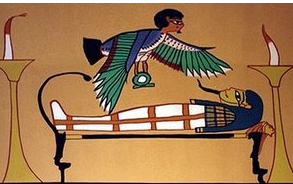 It was also referred to in Egyptian times as the Eye of Horus. Until very recently the Pineal Gland was considered of no particular importance by the modern western medical profession, despite the fact that French philosopher René Descartes (1596-1650) emphasized the Pineal Gland in his writings, calling it the seat of the soul and the part of the body in which the soul directly exercises its functions. He stated that this was the center at which the soul and the body interacted, and where we receive our messages from the Divine realms. Long before Descartes, Greek philosopher Plato believed it to be our connection to the realms of thought and referred to the Pineal Gland as the Eye of Wisdom. It is also referred to as the mystical third eye that is responsible for psychic awareness and perception of the metaphysical world. The third eye when activated can see beyond the physical and becomes the line of communication with the higher planes of being. This has long been known in the eastern world to the Hindus, Buddhist, Taoist and other ancient traditions and is now being confirmed through western scientific research. We experience higher consciousness through the Pineal Gland also referred to as the God Molecule or the Spirit Gland. It is believed that the Pineal Gland actually grows in size after many years of regular meditation. In ancient India, the Maharishis, were supermen with amazing powers, which included producing matter from human energy, telepathy, healing powers which included time reversal of cells, invisibility, levitation, reading from Akashic records of both past and future amongst other things. Some of them had Pineal Glands as large as a lemon! Jesus refers to the pineal gland when he says: ‘The light of the body is the eye, if therefore, thine eye be single, thy whole body shall be full of light.’ With that he meant us to meditate on the pineal gland. He also said: ‘The people which sat in darkness saw great Light.’ Meaning that they saw the Light when their third eye was activated, before that they were in spiritual darkness. The symbol of the eye is the observer of reality or the illusion of our reality. The crown chakra reaches down until its vortex touches the Pineal Gland. When the Pineal Gland is activated we experience higher consciousness of peace and oneness, we develop enhanced abilities to see energetic fields, auras surrounding people and objects, to receive and transmit telepathic thoughts, precognition of events and more such phenomenon. Activation of the Pineal Gland plays a crucial role on our path towards ascension. A silver cord links the astral body to the physical body through the Pineal Gland. This small gland in the brain is the portal for the reception of higher vibrations of light. The light energy from the higher dimensions that pulsates from the Galactic Center enters the physical body at the Pineal gland. This prana, or vital energy received through the energy center in the head enables, with practice, the astral body to vibrate at a higher frequency so it can separate from the physical to access the spiritual gateway. When the Pineal Gland is awakened we feel a pressure at the base of the brain and this pressure will often be experienced as we connect to higher frequencies. The Pineal Gland, part of the Endocrine System, secretes hormones such as Melatonin, Serotonin and DMT (dimethyl-tryptamine.) Serotonin and Melatonin are responsible for our sleep, our meditative state and our emotional state of wellbeing including bliss and euphoria. Melatonin is manufactured in the brain from Serotonin and its production is made possible by darkness and is inhibited by light. When the light dims or goes out, Melatonin production that helps us to sleep begins in the brain, it peaks half through the night then begins to fall. We need to sleep in total darkness so that enough Melatonin is produced to enhance our general wellbeing. DMT, nicknamed the Spirit Molecule, is believed to release during dreaming, during spiritual and mystical experiences and during the time of death. DMT, which is produced by the brain during the time we are in heavy REM sleep, is associated with true mystic potential of non-physical reality and spiritual wisdom. I have read that DMT is also released in extra heavy doses when we are close to death, to allow us to contemplate our life, as well as to make it easier for us to pass on. We often hear of people whose complete life runs through like a fast movie when nearing death. This organ is our spiritual vision apparatus, our bridge between two worlds, the physical and the metaphysical. 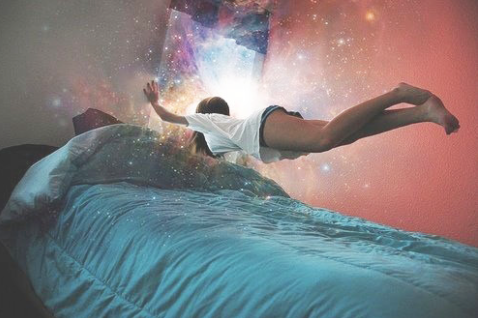 It allows us to have mystical and lucid dream experiences that are essential to our spiritual evolution. Some of the dreams are messages from the Soul and the Pineal Gland is the antenna designed to receive them. An awakened Pineal Gland brings the ability to consciously astral travel, explore other dimensions, foresee the future and receive communications from loving dimensional beings. It also controls the various biorhythms of the body and works in harmony with the hypothalamus gland, which directs the body’s thirst, hunger and sexual desire, and the biological clock that determines our aging process. There are those who are born with these abilities active from birth while others who have forgotten this gift enjoy none of the unique extrasensory perceptions. Kids are usually all intuitive and spiritual by nature and able to see auras clearly. Yet most of us lose our abilities when we grow up due to calcification of the Pineal Gland. The big secret covered up to this day is that fluoride found in tap water and toothpaste is the cause for this calcification which blocks the connection to the spirit world. Added to that is eating processed junk food, drinking soda and other carbonated beverages, white flour and refined sugars, plus limiting beliefs and lack of spiritual practice. We usually experience many changes in ourselves when the pineal gland is being activated. We might have sleep problems, our rhythm of life might change, we might need more sleep or much less, and if we are able to sleep at all we might have bizarre dreams, we go through a chaotic time physically, emotionally and mentally. We may feel many odd aches and pains, low on energy one day then up high the next. All of which are natural symptoms of self-transformation and nothing to worry about. The wise thing to do is to relax, observe yourself, accept it, keep a healthy lifestyle, maintain a healthy diet. Above all don’t be concerned, go with the flow and allow nature to take its course. You can if you wish accelerate the process by raising your vibration. We are individual beings and we each will have our own unique individual experiences. As per quantum laws we are essentially electrical beings existing in a state of resonance with the electromagnetic field of the earth. To activate the third eye and to perceive higher dimensions, the Pineal, which represents the Soul, and the Pituitary Gland, which represents the body, must vibrate in harmony, in yin-yang unison, to create a field. This can be achieved through meditation, through mantra chanting and an old Vedic secret, which is sun gazing. Leonardo da Vinci and Nostradamus are a few of many who have used this method. All psychedelic journeys are accessed and experienced within the realms of the Pineal Gland. Serotonin has the same chemical structure as the hallucinogenic substance. There is an art to sun-gazing I wrote a detailed article about this some years ago, and you’ll find much information on this on the web. Do inform yourself of the details before you go gazing at the sun with your naked eyes. It is dangerous because if you do not know what to do exactly, when and how, you could blind yourself. To develop our multidimensional perceptions we need to clean up our Pineal Gland to be fully operational, so that it can naturally produce its own DMT to enable us to remain in a visionary state most of the time. DMT is a component of a medicine plant in the Amazon called Ayahuasca that brings profound physical and heart healing, through its purgative effects, opening the doors to perceptions of other dimensions. Use fluoride free toothpaste and water. Eating Tamarind fruit or paste used in cooking, is another way to clean out fluoride from the body. Sauna is also just as effective, just sweat it all out of your system. However, as important as it is to watch your diet intake and to keep a healthy body, nothing overrides the fact that a regular spiritual practice of meditation, training the mind to be still, allowing the healing process to occur naturally, so that you can experience higher states of consciousness is the best way. The calmer you become, the higher the inner vibrations, and the more you are able to be open to higher states of awareness. There are many ways to activate the pineal gland and it inevitably has to do with consciousness and breath. The silver cord connecting you to the Source through your Pineal Gland is the line of consciousness. We are living breathing liquid bio-electric forms and the breath is essential to practice to be in your body. With your breathing you help to have an integrated experience in your life. This directly affects your endocrine system and your nervous system, also your pineal gland, your emotions, your mental thoughts and your entire body. You can literally cleanse your body through correct breathing exercises. Nothing beats a healthy spiritual routine of meditation to keep you healthy and cleansed. Meditation is the best way, profound and powerful to activate your pineal gland. The result of a regular practice of meditation is priceless on every level. 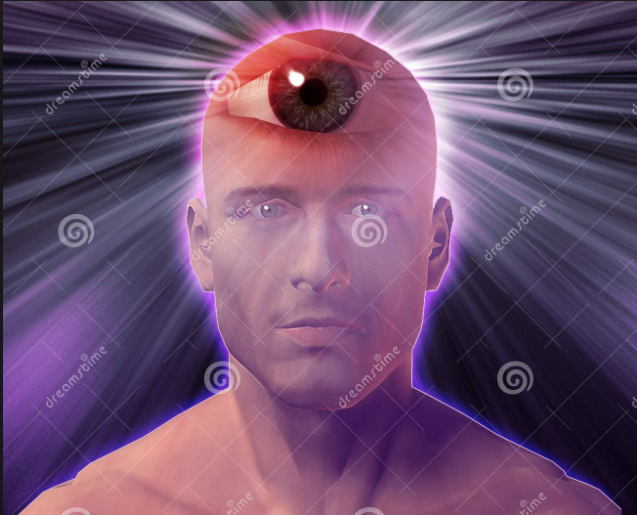 When your pineal gland is activated and your third eye is developed, it is far more powerful than any of your five human senses. You will become aware or see things that others cannot see, some of the hidden agendas going on behind the obvious, and how to make decisions to help you and your family in the best way possible. Your dormant brain functions will start to become active. This will help to start tapping into your seven Higher Senses, and with practice you will be able to use these on a daily basis. Some of the physical benefits reported by practitioners include thicker hair growth, weight loss and stabilization of desired weight, increased energy, and rejuvenation of various muscles. You will start to see how your body is just a thought form as well, and you can change your body more easily with focus, so you won’t have to work out as much. Emotionally, you will go beyond your personal dramas and the aggravation of everyday life. Your body will undergo a detoxification, which will bring old emotional issues to the surface to be released forever, to no longer cause disease and poison the body. You will also experience a renewed sense of confidence and security, and will project that to others, which will allow you to have more fulfilling relationships, increased trust and discernment, and the attraction of soul mates. Almost everyone also reports much quicker manifestations of that which they desire. This is an excerpt from my book published in 2014. This entry was posted in Spiritual and tagged brain, cosmic laws, emotions, energy, enlightenment, health, inspiration, intelligence, intuition, joy, mind, organs, Pineal Gland, spirit, third eye on 06/05/2017 by mkirtikarphd.